We are excited to have you at one of our services. 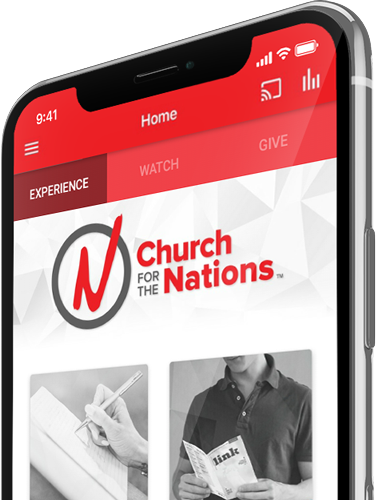 We understand that Church for the Nations may be a little overwhelming to some, so here is some information to help you navigate. On your first visit, look for the designated Love to Help table, where one of our team members will greet you with a smile and answer any questions you may have. If you are checking in children, they will cover the first-time visit check-in process and lead you to your child's classroom. You'll want to arrive about 15-20 minutes early. Kid Nation offers services for infants to 5th grade for all of our Sunday morning and Wednesday services. Check-in for all areas opens 15 minutes before service and closes 15 minutes after the start of service. To register your children or if you have any questions, feel free to visit the 2nd-5th grade classroom, located in Building D.
The Movement is our youth group for 6th grade to 12th grade students. Youth service is available only at our 2nd service Sunday morning and Wednesday evening service. We encourage your youth to join you for praise & worship, then their service will begin immediately following the music portion of the celebration service. They'll head to the WhereHouse for service, located in Building D upstairs above the 2nd - 5th grade classroom.